Zodiac Milpro has subsidiaries with offices in Canada, USA, Australia, Spain, United Kingdom, Italy, France and Singapore (RO) as well as distributors worldwide that are all available to discuss your most specific requirements. Zodiac Milpro has more than 20,000 boats in daily use with over 80 military forces and professional users across the globe. For over 30 years, Zodiac Milpro design and develop products for Military and Professional users around the world. Zodiac Milpro provides standard or customised craft as well as fully integrated solutions adapted to specific needs. Meeting various mission requirements, training and operational demand from highly specialised users is our core expertise. Our commitment, teams, worldwide network of distributors, our products and services are entirely dedicated to “Those who work on the water”, our worldwide community. Two new high performance shock mitigation seats have been created by Seawork exhibitor Zodiac Milpro for use on RIBs and powerboats. 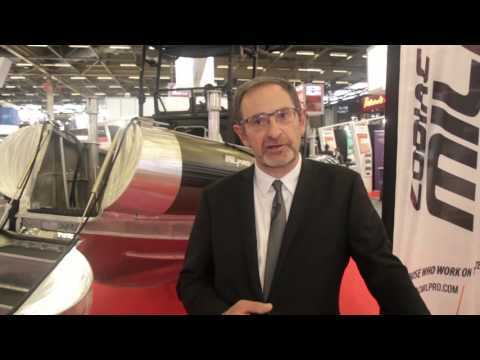 The French defence ministry has confirmed its acceptance of the first advanced ECUME RIB (Rigid Inflatable Boat) manufactured by Zodiac Milpro and has placed an order for nine boats, the first part of an investment option that will ultimately result in the delivery of another 10 of these advanced new boats. Norfolk Fire and Rescue’s new Underwater Search and Recovery Unit (UWSAR) has just been equipped with an inflatable work boat from Zodiac MILPRO. The new Zodiac MILPRO SRA-750 RIB, launched at Seawork, was well received by the commercial marine market, as was its new Rescue Track system on display at the stand.